So remember when I decided how to dress now that summer is officially here? 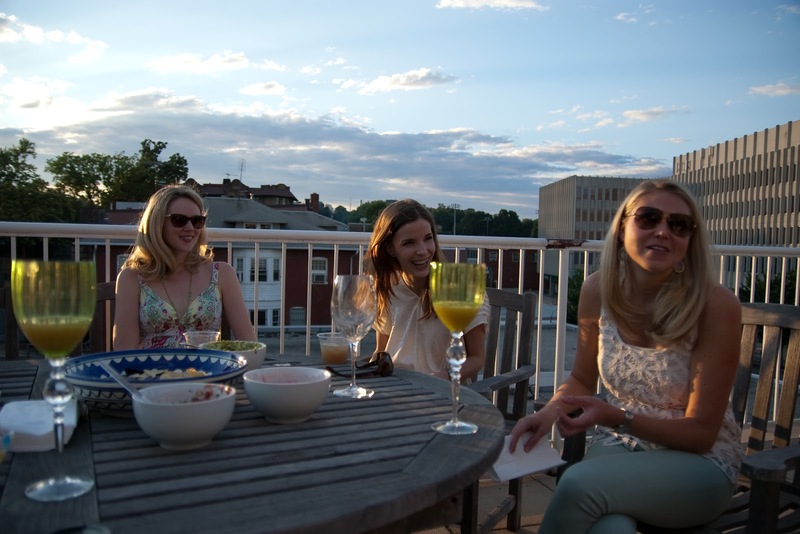 Well, this weekend I actually did my favorite summer things! To kick off the weekend, Adriana had a Brisket Tacos - Take 2 party. I was happy to be around for Take 2 because I missed the first one. See Adriana had dotted her i's and crossed her t's... the brisket was in the slow cooker and Jenny, the housekeeper, was coming over to tidy up while Adriana was working away. Well, Adriana came home not only to a sparkling apartment but also to an unplugged slow cooker. That was Take 1. Take 2 was a success even if the slow cooker she borrowed from me decided to stop cooking after 1 hour! Thankfully she had backup and everything was delicious. Must get that recipe!! 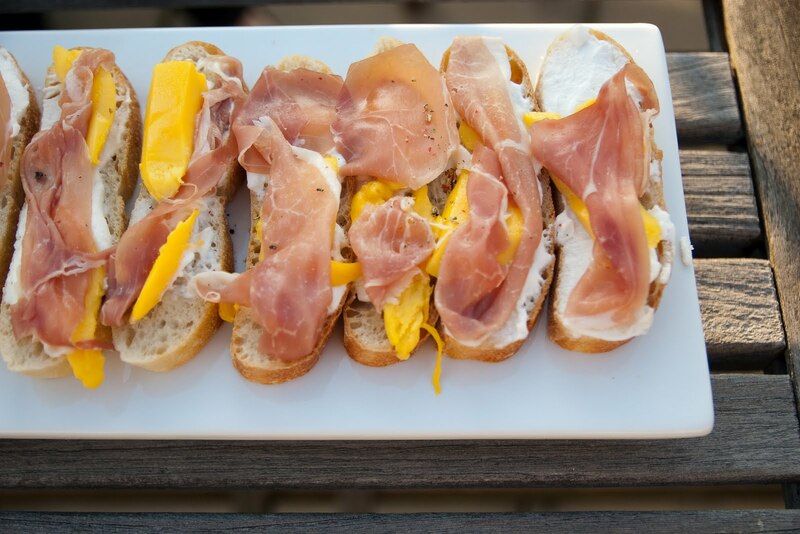 Another recipe I need is the prosciutto, mango and ricotta bruschetta that Stacy made. Weaver and I started Saturday off with a little exercise. We took Finn (Hugh's golden retriever who I lovingly call Finny-Foo-Foo) with us. It took him a bit to warm up to the idea that we were walking, not sniffing but all in all, a perfect start to the morning. As we approached the building, Stacy was waiting out front for me to go to the Farmer's Market. I wish I had taken more pictures. I always forget that the iPhone 4 takes such great shots. They have everything... flowers, honey, veggies, fruit, sausages, fresh eggs and chicken, coffee and espresso! Stacy and I walked out of the market twice only to turn around for more. I picked up some corn for the Summer Salad and some of these beautiful flowers. Particularly precious was the turf mat with hula-hoops and the little girls giving it a whirl! All of this before 10am! The rest of the weekend consisted of chores around the apartment, some projects that have been lingering on my to-do list (still working on styling those bookshelves!). We wrapped up the weekend with a birthday celebration for Karen (my MIL) at Jenny & Chris' house-- great way to top off a fabulous summer weekend. 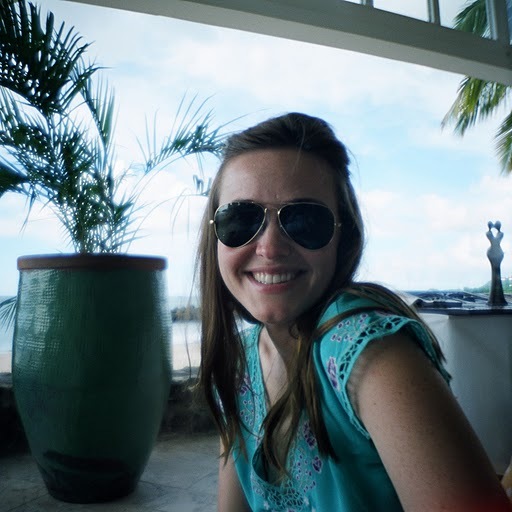 2 comments on "Weekend Recap"
Hi! I used this Peach Ricotta Crostini recipe (http://camillestyles.com/2011/06/21/tuesday-tastings-peach-ricotta-crostini/) as my basis, but used mango in place of peach and mixed the honey together with the ricotta. 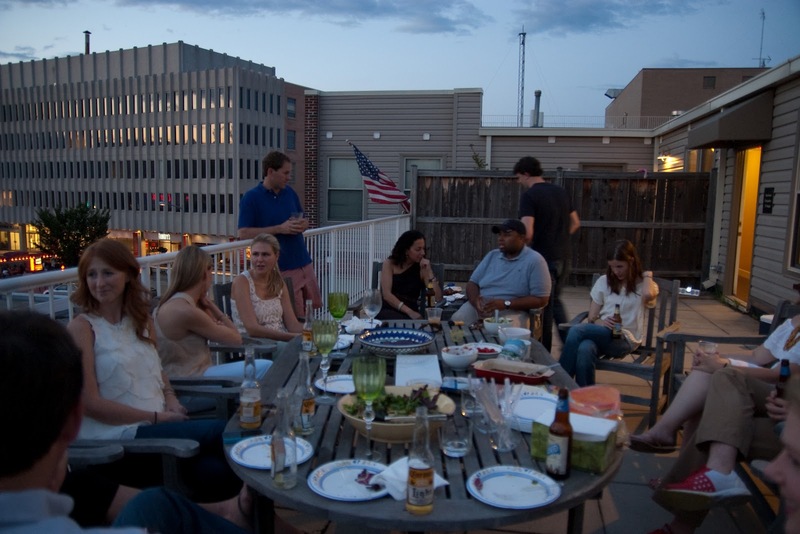 Looking forward to many more rooftop grill-outs and trips to the farmers market this summer!! Thanks for sharing the recipe, Sticky!